Looks: Soft but dense buds. Very frosted, lightly covered in light orange hairs. The buds look a little bit bubbly. Smell: Very spicy scent that just barely burns the nose if you take a big inhale of it. Taste: If you can imagine a fruity cake batter (uncooked) then that pretty accurately describes the flavor here. Effects: The buzz for this bud comes on hard and fast. Eye movements slow down slightly. This is another very relaxing buzz. It feels like waves of relaxation are radiating down through my body from my head. Slight body euphorics, with small tingling sensations all over my body. 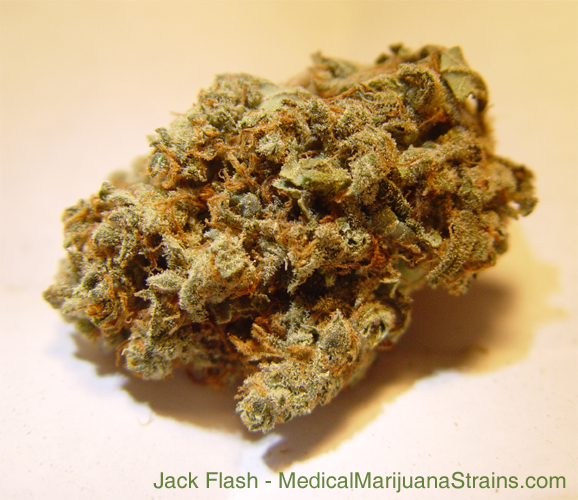 This is an exceptionally good body high, compared to some other indicas that I’ve reviewed in the past. Thought processes seem to be slightly slowed as the high wears on, but definitely not to the point that I am not functional.